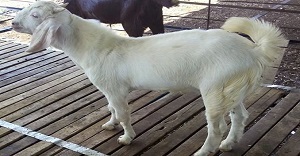 The Boer goat is a breed of goat that was developed in South Africa in the early 1900s for meat production. Their name is derived from the Afrikaans (Dutch) word "boer", meaning farmer. 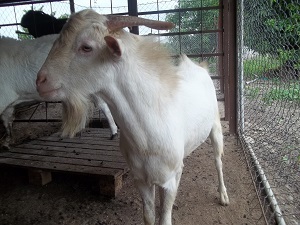 Boer goats are a popular breed for meat and their breeding season starts in August and runs through December. 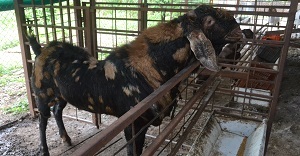 Mixed goats are best for small herds because of the genetics in Boer for meat and the genetics in the other goat. 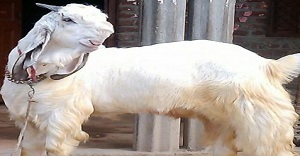 The Sirohi goat is a compact, medium-sized breed native to the Sirohi district of Rajasthan located in western India. 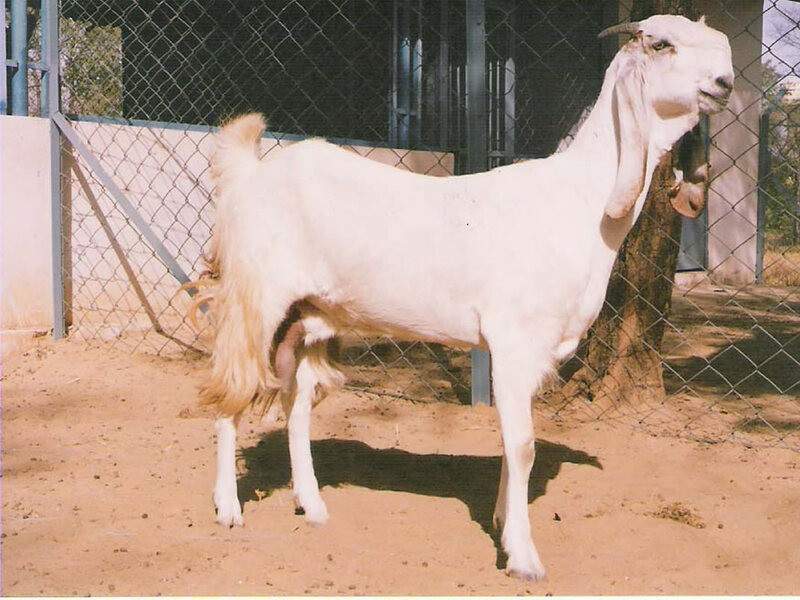 Sirohi goats have a predominantly brown coat, with light or dark brown patches. On occasion, the coat may be completely white in colour. 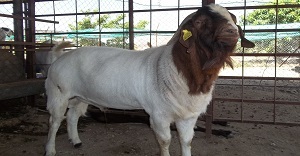 Most sirohi goats are wattled and have medium-sized flat leaf-like drooping ears. Saanen goats are a white or cream-colored breed of goat, named for the Saanen valley in Switzerland. By the late 19th century they had spread across Europe, and in the early 20th century were brought to the US. 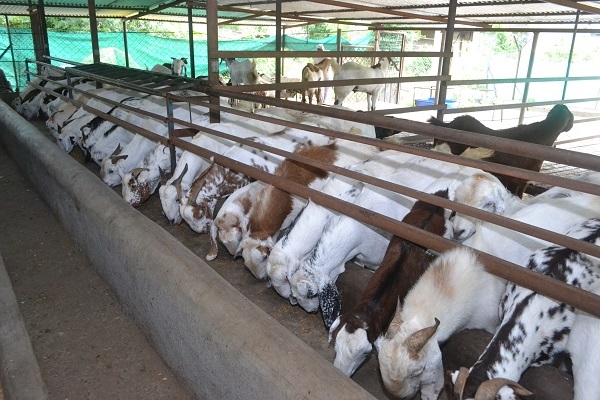 In the 21st century, they are among the most popular dairy goat breeds, due to their high productivity and ease of management.